a detailed schedule, which will also be posted on the bulletin board. arriving at the Center after 5:45 p.m.
appreciated, both by your child and the staff; however, the late charge will still be assessed. lots adjacent to the Koala and Dolphin yards, and on public streets. bulletin boards, well in advance. receive messages from administrators in your family classroom mailbox. Sign-in/sign-out sheets. Parents are required by law to sign their child (ren) in and out each day. You must sign in with your full legal signature and the time. it in the office mailbox. 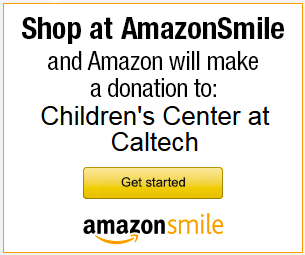 regarding the web pages should be sent to ccc-help@caltech.edu. children’s presence demands that these be brief. removed or change e-mail address information on the mailing list, send your e-mail to ccchelp@caltech.edu. Please call to schedule a tour.